Marketing strategies for small business operations come in all shapes and sizes, but when a certain approach turns into an endless resource for information, people tend to notice. There has been a lot of criticism of Facebook in the past few weeks, but it is hard to deny the social network's ability to drive sales. While you might hear that Facebook has yet to prove how it can improve your company's conversion rates, you also know that without a profile you are behind the times. What makes Facebook even more valuable for businesses is the site's ability to connect you with a variety of like-minded professionals. If you have a job opening at your company, you might want to explore the world of Facebook for a candidate to fill that role. Currently, Facebook has more monthly active users than Twitter, LinkedIn and Myspace combined, according to Mashable. The social site has also managed to integrate into daily life, with approximately 526 million people logging into Facebook each day. Chances are the ideal candidate for a position at your company is on Facebook, and the odds of you reaching him or her through active posts on your own profile are high. When you look at the network as a place to meet new people and not just as a marketing tool, you may finally get the full view of all that Facebook has to offer. To find a prospective employee to complement your work culture, make sure you publish all openings on your social account and request your followers to share the information with their family and friends. This type of recruitment can provide you with an impressive amount of leads, and the costs associated with marketing available jobs through social media are extremely low. 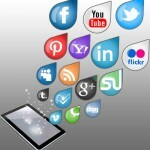 Have you had success recruiting through social media platforms?